Life is full of adventure and marriage is totally a rollercoaster ride. You go topsy-turvy on the other end. Just imagine if your wedding day is only five weeks away and you have not prepared anything yet. I am sure you will go wild. But hang on! You need not panic. I am here at your rescue. We can totally make up for all the times you were at your office busy working when you should have been out in the market shopping and preparing for the wedding. You can still have your dream wedding with five weeks at hand. 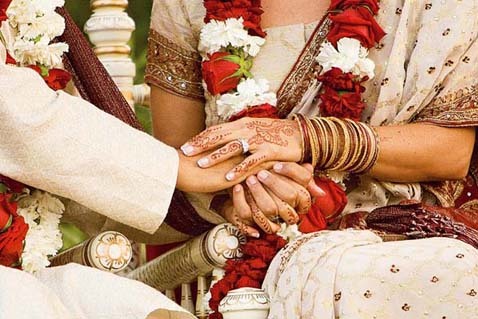 Here is the foolproof plan to make your wedding a hit without going insane. Get your plan straight: Keep a clear head and be honest with yourself. What is it that you exactly want? What kind of wedding preparation you need for your dream wedding. Do not get stuck with unnecessary obsessions. Which service do you have to book? The caterers, the wedding venue, wedding photographer, your makeup artist etc. Ask your friends for suggestion and take quick test and book them instantly. Prepare yourself for the upcoming disaster: You cannot expect to have a perfectly planned wedding where nothing will go wrong. Planning a wedding has been bittersweet. At this time you will know who your friends are and how good and supportive are your relatives. Some people will try to make your wedding all about what they want. Others will be inconsiderate or downright rude. This is heavy stuff to deal with when you’re already busy planning a wedding. If you have good friends, consider yourself lucky. Prepare yourself for the weird wedding advices: It will be right before your wedding when people’s weird personal issues with marriage, commitment and intimacy are going to come out of nowhere. They have this strange need to talk about marriage from their own intimacy/commitment issues. You are no them. Your issues will be different and so do not panic. Simple Smile and nod honey, Smile and nod! Decide on what is really important to you: Take a note on the things you do not mind compromising on and thing that you in no world compromise for. You can let go of things that is not very important or irrational. For, example, it is very important to have a shed if you plan on an open wedding is case it rains but it is okay if you do not spend a lot on the wedding invitation card. Focus on a few small things that will really make you happy to make the event a successful one and to cherish for a lifetime. Do not be over ambitious: Look at the time at hand. You cannot go around asking people to do more they actually can. You may have friends staying far away. Inform an invite them first as they will take time to reach. Learn to compromise on what is impossible to get within such a short notice. Do not pine over. It is ok to have minor bridal freak outs: You must been in a lot of stress during this five week and at time you may mess up a bit. It is okay. You need not cry over the split milk. A little amount of clumsiness will not be considered unhealthy. It won’t be the end of the world for you. Give your overbearing relatives some project to work on: If you have those overbearing relatives whom you cannot stand but need to invite, stuck them with some work so that they stay out of your business. When one of your relatives starts driving you crazy with their own running commentary and criticism about your wedding-related choices hand them something less important to do. That way, those people will have their own little nuptial fiefdom to control and you will get some time to breathe. Use Pinterest boards and Google Drive: Pinterest boards are an amazing resource for bridal beauty ideas and recipes for the wedding celebration. You can store the list in Google Drive so that you do not was time in finding one in case it gets lost. I understand it must seem to be a hefty burden, but trust me, you can do it. Do not lose your cool. Graciously accept help if anyone offers you any: You are very lucky if you have a helpful family (which is most in case of India). Allot different responsibilities for different people. Ask them what they are good at and divide and work. They people love you and want to help you. So say “thank you” and accept it modestly. You do not have time to throw tantrums not. Please share your tips in the comment box in case you think I have missed out on something.